I loved, loved, loved all the comments on the previous post. Thank you for taking the time to share your thoughts and tips. So much wise advise. Plus, it’s wonderful to know we Grinches aren’t alone at this Most Wonderful Time of The Year. I was blessed by hearing your stories, and related to so many of them. I identity with the feelings of stress and loss, the agitation of perfectionistic inclinations, and the yearnings for “something more” than the surface glitter. I laughed out loud at Susan’s story of the Furby craze, remembering the time I made my husband wait outside of Target in the freezing cold, dark, morning hours in order to snag some Cabbage Patch dolls. My children’s lives depended on it. There is a deep longing. Underneath the corporate insanity, the meaningless busyness, the nauseating materialism, and the enslavement to the obligations of tradition… there is a yearning for something real. Something deep and mysterious and ravishingly beautiful. There is an unarticulated desperation for the miraculous. For most of us who did not have to endure tragic childhoods, Christmas was the time of infinite promise. A day when all our wants would be supplied. When our needs would be met. When all of our impossible dreams would come true. All we had to do was make a list and give it to the jolly fat genie in the red suit. There was the magic of Christmas morning, with it’s rushing down the hall or stairs to seek what we most coveted, the flinging open of the door into the room wondrously transformed. There were the lights… the exotic aromas… the music. Most of all, there was the exuberant joy of seeing our heart’s desire under the tree. But eventually the tree died, the toy broke, and bleak January came. I think what we are really longing for is a Christmas that lasts. 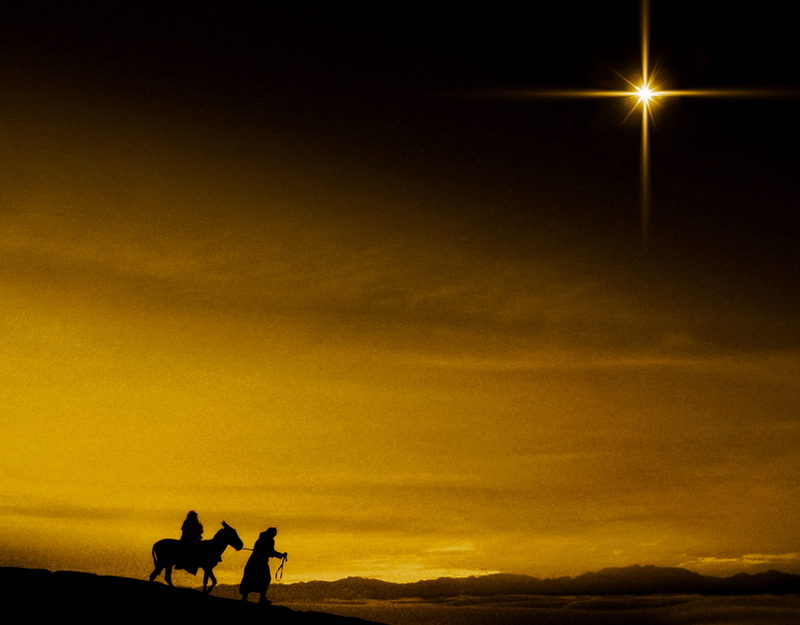 An unending, perfect Christ Mass. Perhaps the version we experience on December 25 is a pale paradigm of the authentic one. Those elusive things we seek in our secular celebrations are faint reflections of things that are real and true . To experience the essence of Christmas, it is necessary to look behind the veil of the corporeality of our senses to the essential reality of the spirit. Humans have an innate desire for community, for celebration, for joy… even revelry. We have an ache for a place where our needs are met, our desires fulfilled, our partial selves completed. A place where there is nothing more to want. C.S. Lewis calls it a better country. The thrill of a childhood Christmas morning must be a very weak foreshadowing of the future ecstasy of the true Christ’s Mass. Where there will be healing and peace and restoration. The joyful communion of kinship. Consummation of every secret longing. and dance with abandon on streets of gold. I think you got it right - we want a Christmas that lasts! I know I do. Addendum to the Furby story: I stood in line for that thing and it was handed to me in a brown paper bag that had been stapled shut. I was sternly warned not to open the bag. A store employee escorted me to the checkout station where I made my purchase - sight unseen. There could have been anything in that bag. I didn't have a clue - just took them at their word that it contained a Furby. Then, I was reminded again not to open the bag and was escorted to my car by another store employee. All this top secret behavior and body guarding for an icky little toy! Sitting in my car, I was almost afraid to open that bag, but I did. There I sat, holding an ugly little furry critter who was staring at me with big, wide open, unblinking glassy eyes. I could not believe that I had stayed up all night and braved a mob to get that thing. And if the behavior of the store employees was any indication, I was in some sort of mortal danger as well. So, that is the point where I said, "Never again," and my Grinch was born. I loved your post. I needed the reminder. found, the echo of a tune we have not heard, news from a country we have never yet visited...We do not want merely to see beauty, though, God knows, even that is bounty enough. We want something else which can hardly be put into words—to be united with the beauty we see, to pass into it, to receive it into ourselves, to bathe in it, to become part of it..." I believe with all of my heart that the suffering you are experiencing with Katherine is ushering you into the beauty that only the Lord can bring. It is at times a terrible beauty. But oh so worth the price, is it not? Can you tell that I am saturated in Lewis? I LOVE that quote from A Weight of Glory. Gorgeous. Yes, we are kindred spirits indeed! (Makes me cry, too.) You are the second person this week to remind me of that essay. I'm going to dig it out and re-read it. Love this story. Crazy! Can you believe the lengths to which we will go in order to secure our children's happiness? How much further will the Father go on our behalf! Jesus Christ? . . .
but what is He to make of us?" I agree with you Kim...Maranatha.